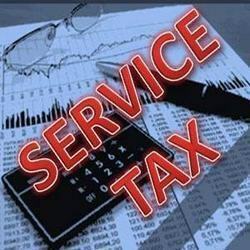 Sub: Service Tax – Service Tax Voluntary Compliance Encouragement Scheme, 2013– Reg. It is noticed that you have registered for payment of service tax but not filing the ST3 returns regularly. It is anticipated that certain amounts of service tax pertaining to the past period are yet to be assessed and paid by you. 2. It is brought to your notice that the Service Tax Voluntary Compliance Encouragement Scheme, 2013 published vide notification No. 10/2013-ST, dated 13.5.2013 (for full details visit our website (www.cbec.gov.in) provides the form and manner of declaration and manner of payment of tax dues. This scheme envisages waiver of penalty and interest. if complied by 31.12.2013. In this regard, you are hereby advised to take the benefit of this scheme at the earliest possible and contribute to nation building by paying taxes.